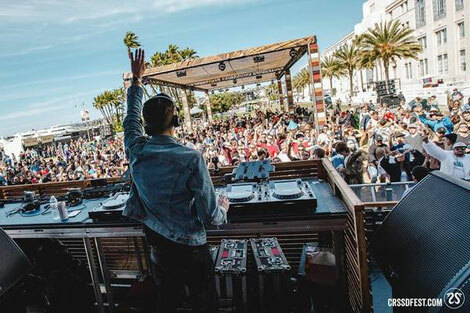 Recently highlighted as one of Mixmag’s artists to watch for 2018, Eli Brown has announced a debut eight-date tour of the US. Having emerged from the shadows of Bristol’s D&B scene, Eli has possibly established himself as an artist of real distinction in the house world, with his singularly sinister, twisted records aiming to make an immediate impact. Repopulate Mars, ViVA Music, Toolroom and more have all recognised Brown’s raw, sometimes caustic skills. In the relatively short time he’s been producing house music, he’s possibly turned the heads of some of the most respected labels in the game, including Repopulate Mars, Relief, Toolroom and elrow, while most recently he teamed up with MANT on ‘Future’, a club cut set to drop of Steve Lawler’s ViVa imprint. Already in 2018 he’s performed at London’s Fabric, Hideout Festival and Hi Ibiza, with future shows at SW4 and Reading & Leeds festival adding to what has been a decent summer.